The last weekend in November was significant for two very good reasons. Firstly it was cold, seriously cold, hopefully heralding the start of winter proper after a month of seeming indecision which saw weather conditions range from wet and mild to even wetter and milder. About time too as December is now in full flow and no matter what the doom mongers say I’m still hoping for some decent snowfall. Secondly we were out birding and walking for a significant proportion of that final Sunday, the first time that’s really happened since mid October and our week away on Mull (photos and words coming soon). The reason? Life I guess sums it up best, a combination of finally finishing renovation work on our house (I’m ignoring the bathroom for now – varnished wood ceilings are still fashionable right?) and other ‘stuff’ which needed addressing. With that now dealt with however I’m looking forward to rounding out 2017 in style kicking off with a brand new garden visitor which graced us with its presence for a couple of days towards the end of October. 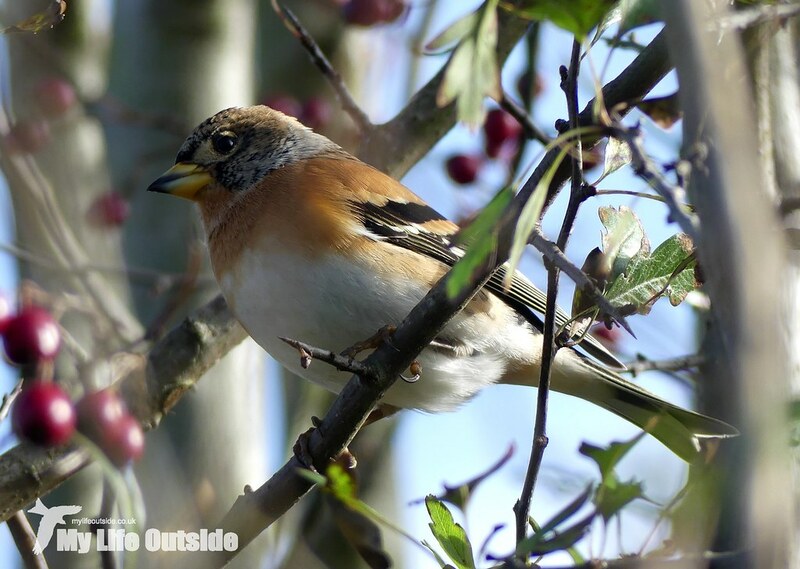 For those not familiar with this attractive little bird it is of course a Brambling, one of those autumn migrants which I see far too rarely. 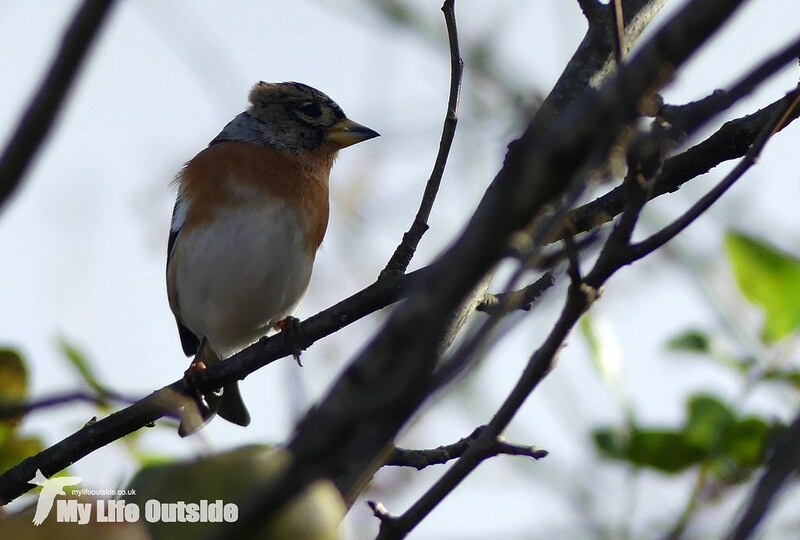 In fact last year withdrawal symptoms got so great that we actually twitched a couple of individuals which had taken up residence in the Sea Buckthorn at Pembrey, a distinctly prickly venture which resulted in brief glimpses and only minimal blood loss. To have one turn up in our own back garden therefore was more than a stroke of luck, especially considering how tame this particular bird was. After twenty minutes or so of getting him used to my presence I was able to push my advantage and approach within a couple of foot for what easily rank as my best photos of this species to date. They may indeed be my only photos as despite being sure that I’ve got a couple of dodgy record shots hidden away somewhere I’ve yet to locate them. All the more reason to enjoy a few more from this current batch. 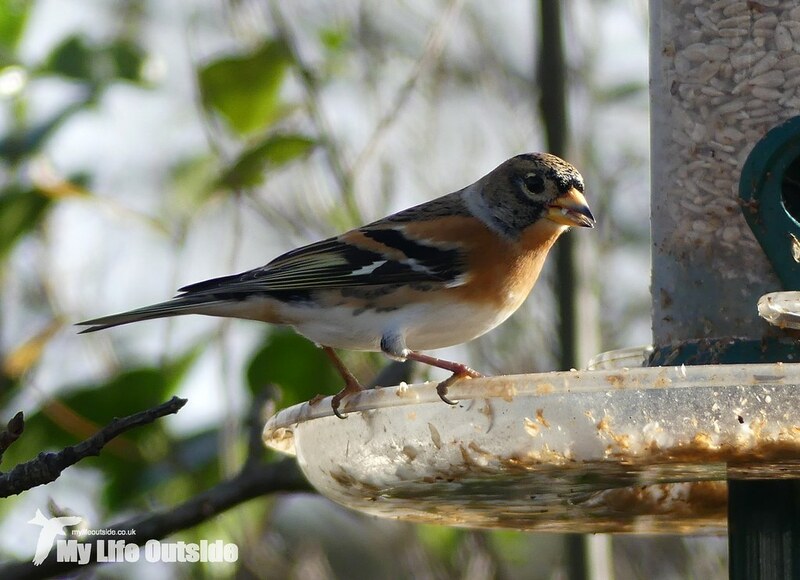 Sadly the Brambling has now moved on but unusual visitors have continued to drop in. Of these a Treecreeper was perhaps the most surprising especially given their rarity factor on patch, though Goldcrest and Great-spotted Woodpecker also rate quite highly. Such success inevitably has my mind wondering towards the recent Hawfinch invasion which has left a few lingering birds here in South Wales. Might one turn up on our feeders? Now that really would be something to write home about.